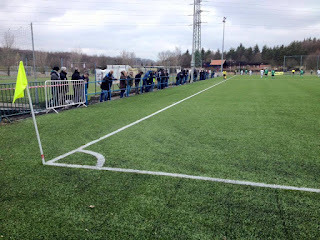 Welcome to Volume Two of my blog paying homage to the football clubs I've visited all over the world and the wonderful people responsible for keeping them going and their maintenance. 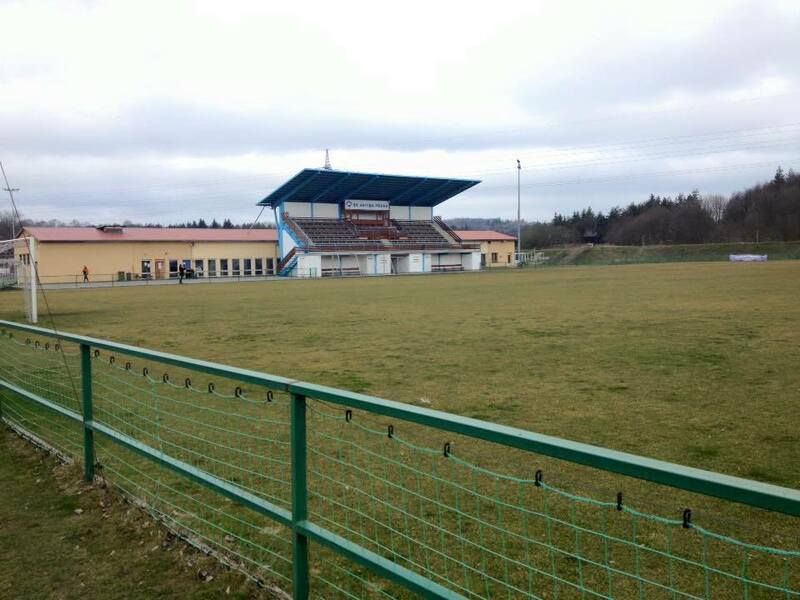 Since I was a little lad I've been fascinated in football and more so where games are played. With my love of travel and curiosity of the game I wanted to visit as many grounds and see games wherever possible. I was fortunate that my Dad also loved the game and spent so much of his spare time taking me to matches. As I got older the boundaries widened owing to my location and increased wages to Europe and indeed the world. The sight of a stand or a floodlight pylon in the distance immediately heightens my senses and eagerness for a closer look. I hope this site gives you the chance to share in my pleasure and experiences and maybe one day set you on the road to adventure. If you get half as much out of the hobby as I've done, I can guarantee some great memories, good friends and stories to pass on to future generations. 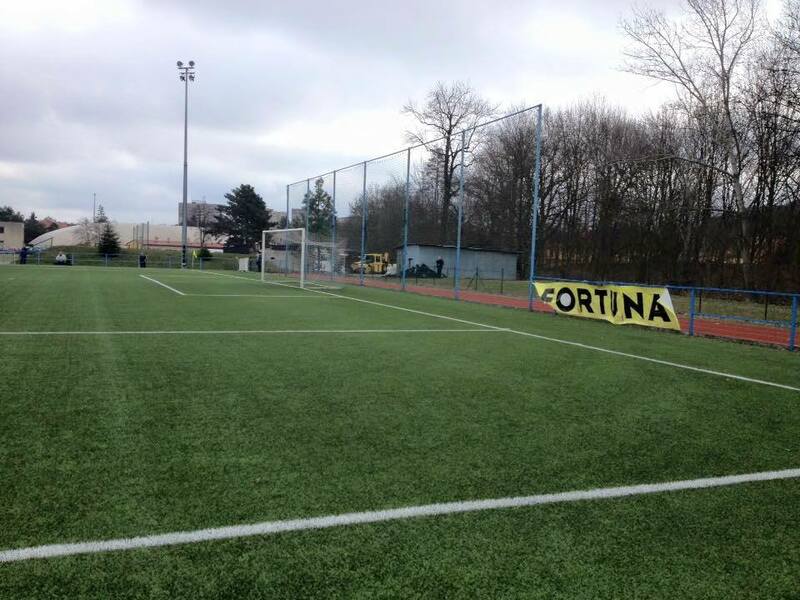 Give your local club a try today. They'll be delighted to see you! Everlasting thanks primarily to my late and very much missed and dearly loved parents; my Dad Bob Bernard and my Mum; Ann, who put up with endless years of football chat and my brothers Nick and Paul who gave me the chance and encouragement to do what I have. Thanks to all my friends who offer encouragement and Sally and Stan who inspire and give me great pride. Stan is showing a keen interest in my hobby as he grows into a young man! Please feel free to post any comments (please use sensible language - I want everyone to be able to enjoy reading) or ask any questions relating to visiting grounds or events. 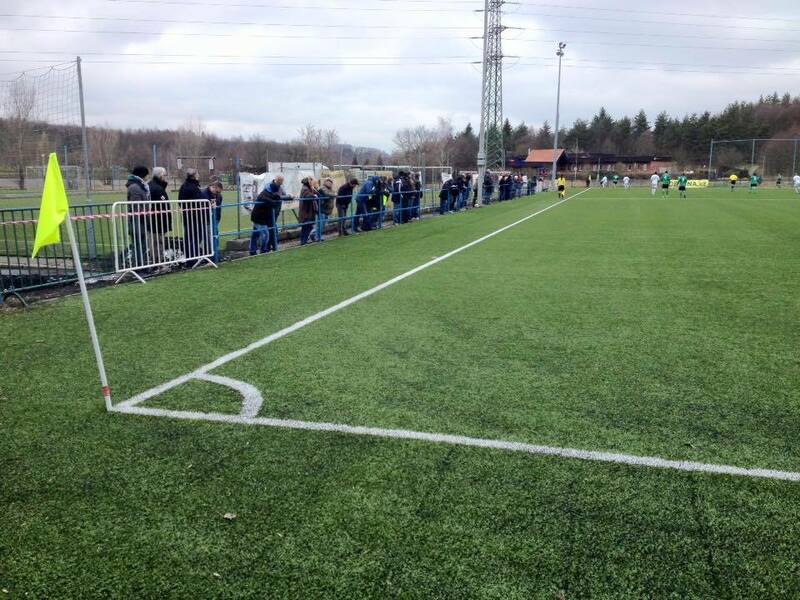 If you want to see any ground reviewed please let me know. It will take quite some time for everywhere to appear, but make sure you keep having a look as the site is continually updated. If you click on a lot of the pictures you will get a larger version on your screen. I have also added links to video clips on YouTube where appropriate for those of you who are bored of reading or are filling in time at work. I haven't always gone for the most obvious choices, but items that will be in some cases unusual but always historically interesting. Click to see volume one of HAOTW. 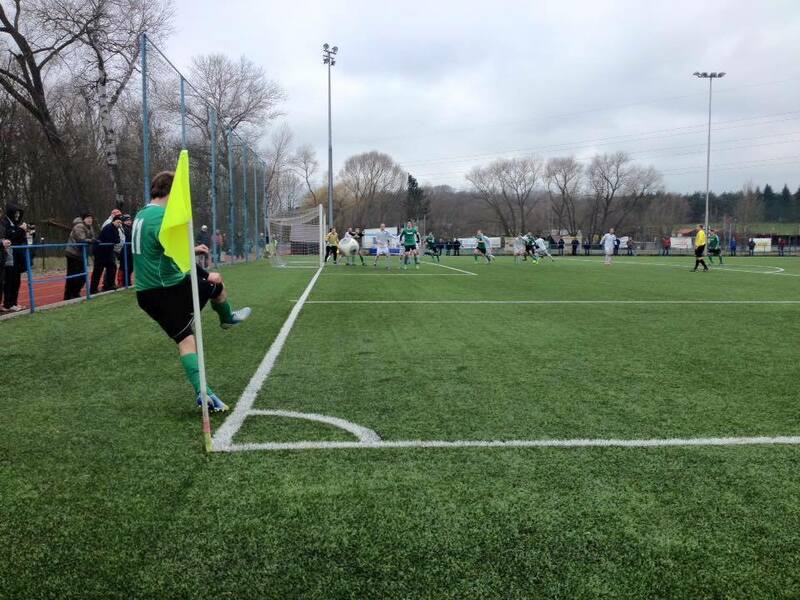 SK Aritma Praha is a football club formed in 1908 as the successor to SK Dynamo Veleslavín and Vokovice. 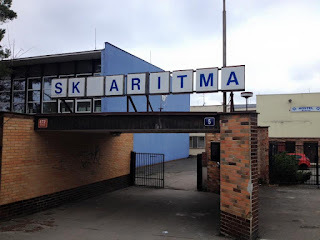 Aritma are located in the Vokovice district of the Czech Republic capital of Prague. 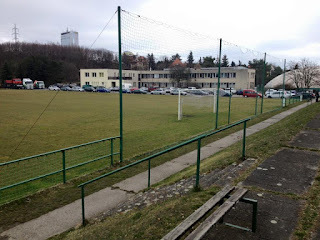 As well as football the club has sections playing basketball, athletics, tennis, miniature golf, ASPV, hiking, volleyball and curling by their base on Nad Lávkou, near to the local swimming pool, on the edge of the protected area of Šárka. 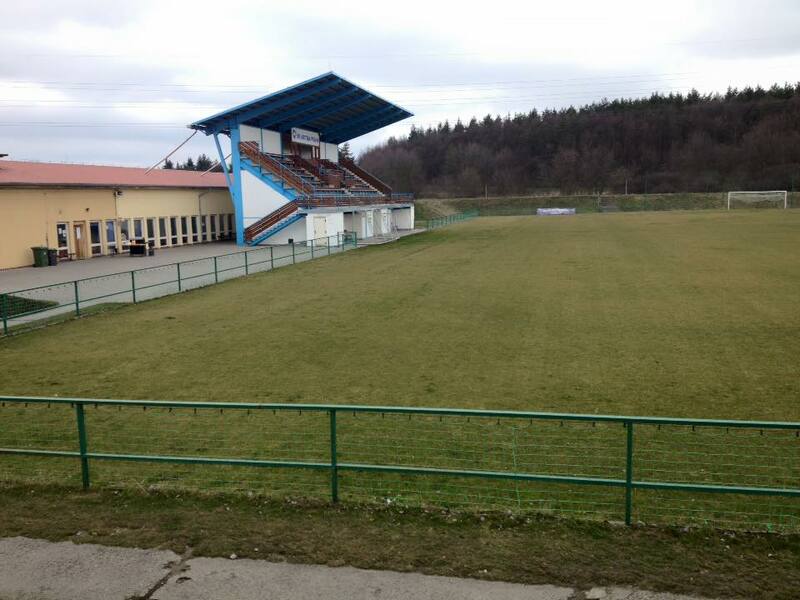 For most of the clubs existence, the first team have played in the Pražský přebor (Prague Championship). 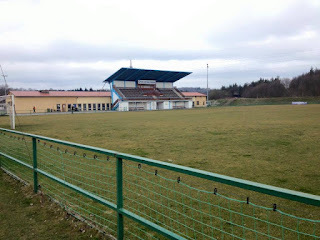 Aritma were crowned champions at the completion of the 2011-12 season and won promotion to the fourth tier of Czech football; 4. 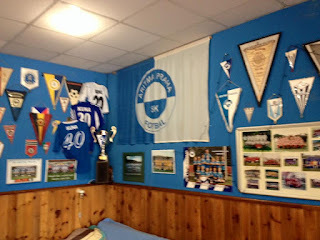 Liga. 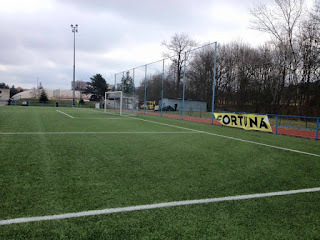 Between 1965 and 1969, Dusan Uhrin performed for Aritma before going on to an accomplished coaching career, which saw him lead AC Sparta Praha, AEL Limassol, Dinamo Tbilisi, Slovan Bratislava as well as the Czech Republic during Euro 96 and the Kuwait national team. 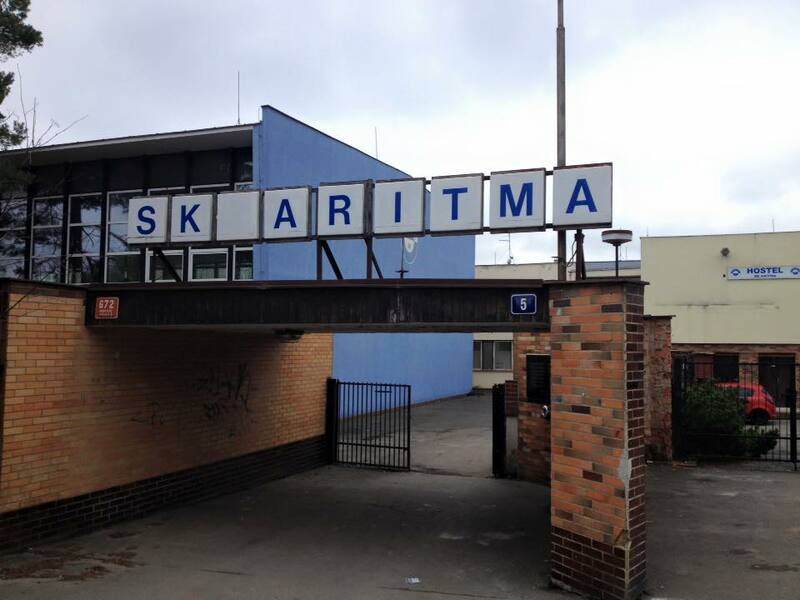 Since their elevation, Aritma have played in both A and B divisions. After finding their feet for the first couple of seasons, they improved and ended the 2015-16 campaign in sixth place under head coach Tomáš Kubr. 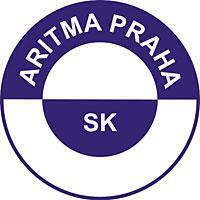 SK Aritma Praha will play in Republic 4. 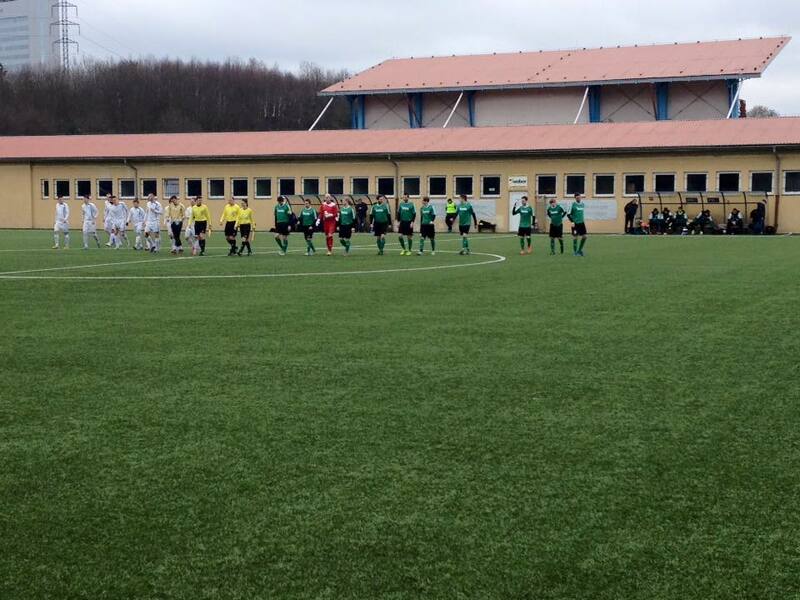 Liga Divizní Skupinu A in the 2016-17 season. Following a very enjoyable Friday around Prague including the top flight match between SK Slavia Praha and Fastav Zlin, I woke early on the Saturday morning in pretty good condition. The beer really was good in that part of the world! After grabbing a pastry across the road from my Hotel Golden City Garni base, I jumped on the tram 26 at 9.15am towards Nádraží Veleslavín on the far western side of the city. The reason for the extremely early start is that several matches in the lower divisions kick off at 10.30am at the weekend. Some are even given live TV coverage. What a fantastic way to start a Saturday! 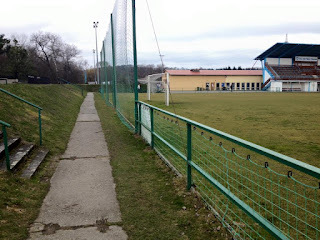 I soon found my way down the sloped streets to Areál SK Aritma, but everything was not right? Yes, players were warming up as I expected, but on the artificial pitch behind the impressive Main Stand. 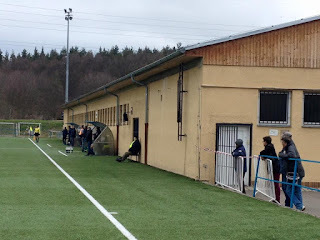 Having paid my money at the small hut and gained entry to the ground, I quicjkly worked out that some games after the winter break were played on artificial pitches to preserve the turf surfaces. 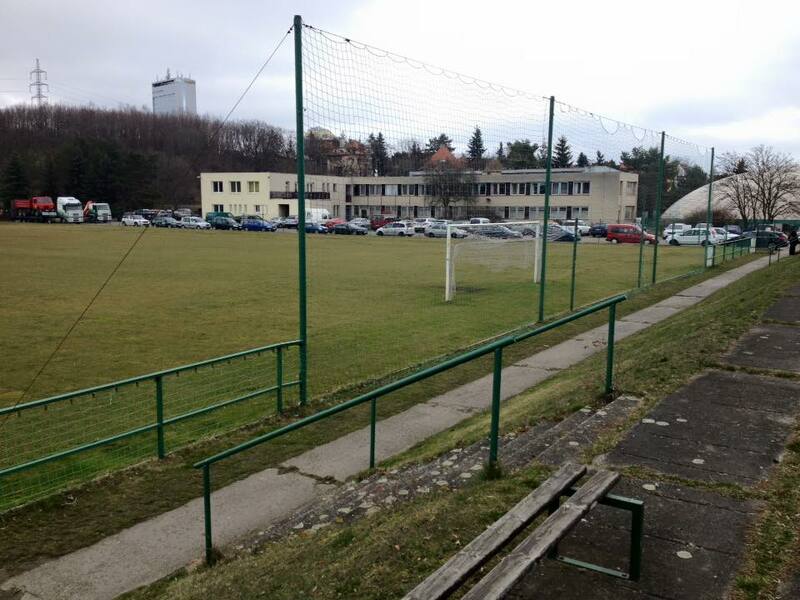 Indeed, I’d avoided a fixture at Admira as they had moved their game to another venue with 4G. Not to be perturbed I wandered over to the far side of the pitch where most of the hundred in attendance were gathering. I wasn’t sure what standard to expect. 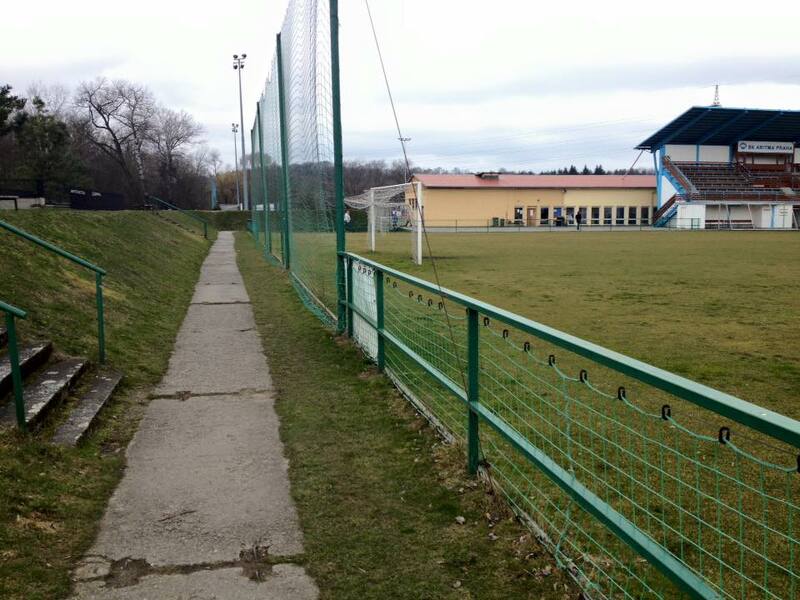 At a guess I’d say Step 4 of non-league back in England. The pace was good, which is always handy with such an early kick off. 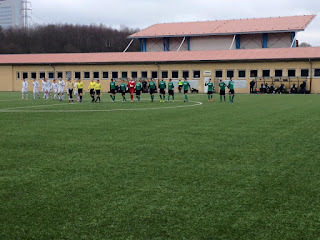 The home side went ahead on nineteen minutes through Tomáš Volek, and doubled their lead ten minutes from the interval as Filip Podobský netted. 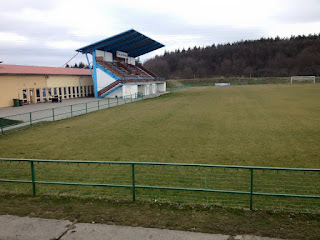 The visitors of Rokycany, who are located around forty five miles south west of Prague, got back into it just before the interval as Pavel Aubrecht scored. 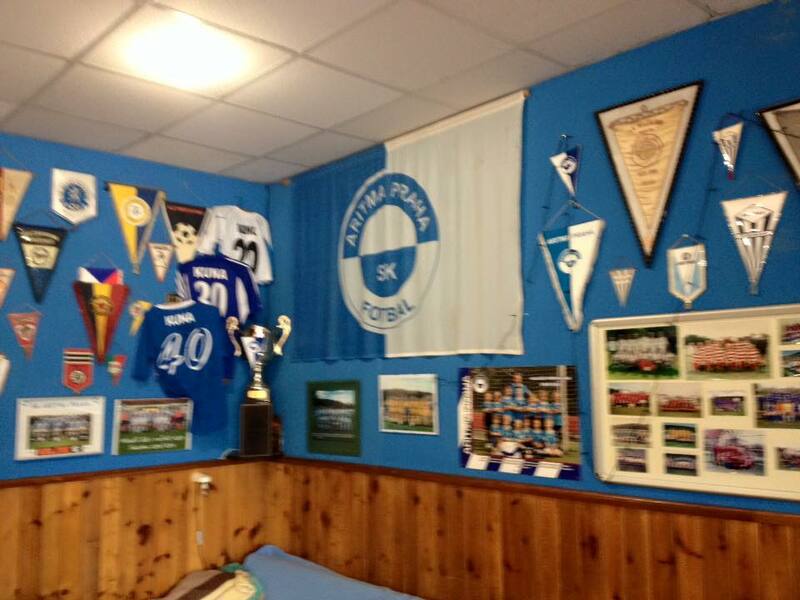 Half time called for an investigation of the small clubhouse, which had some interesting memorabilia on show. 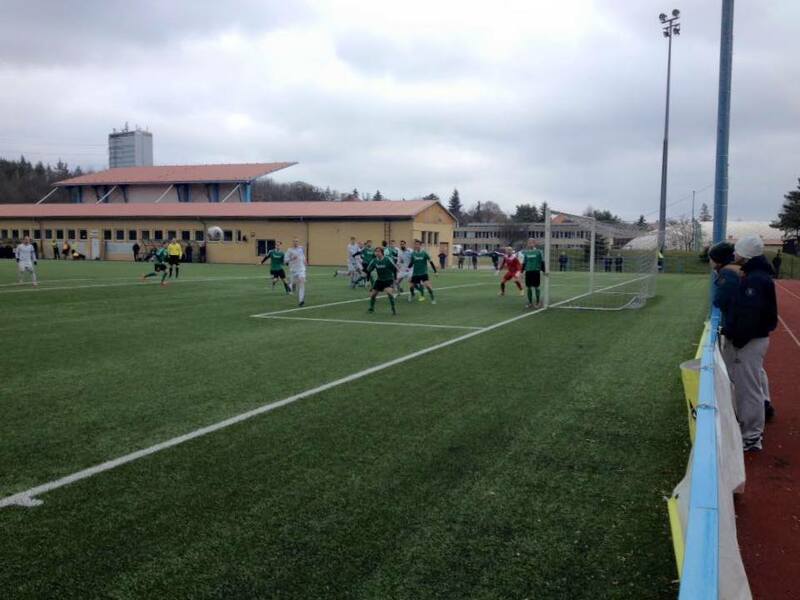 Despite the language barrier I managed to buy a latte and watch a few minutes of the third tier ČFL match on TV. A sausage griddle had been set up on the patio outside, and tempting though the smell was, I held out because I had lunch in mind in the city centre. The second half was a nip and tuck affair, but the match was settled near its completion as Volek added his second, and Aritma’s third. I headed back to Nádraží Veleslavín, where I went downstairs and took the A Metro to Můstek, ready for some more fantastic ambiance around Wenceslas Square and a fine local lunch, before heading off to my afternoon match at Motorlet. I moved to London in April 1999 from Scarborough in North Yorkshire. I am single but have a wide network of friends all over the world. I love football and cricket in equal measures. I am a regular at Lord's Cricket Ground in the summer where I previously worked for the MCC. For several years I visited Asia for cricket tournaments as a player and co-ordinator for the Asian Cricket Sixes Tour. I am a loyal supporter of Scarborough Athletic FC and Scarborough FC before that. My favourite "big" club is Hull City. Latus takes the Hayne train.